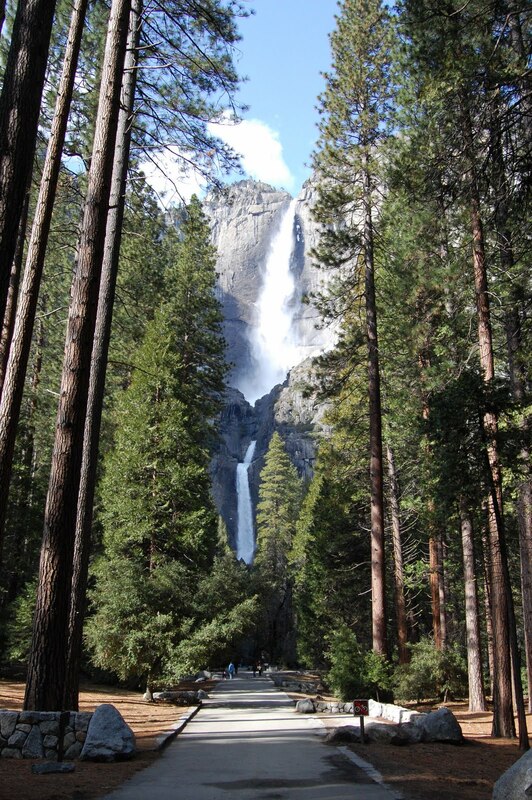 The view while walking up to the Yosemite Falls in Yosemite National Park. Oh man, I really want to visit Yosemite. Nothing like a little crisp mountain air and tons of gushing water to get the blood flowing. If you can get over the crowds, it’s really one of the most beautiful places around. During my visit, I could really tell what John Muir so loved about the area. Looks so huge and beautiful. Did you manage to get to the top? How was it? I tried to do the hike to the top, yes, but was stopped part way by a smaller waterfall. After much thought, I decided to turn back instead of trying to cross it because of the ice. I was alone and didn’t want to slip and fall on the ice in the water and then get hurt. So, I went back and did another couple of hikes.